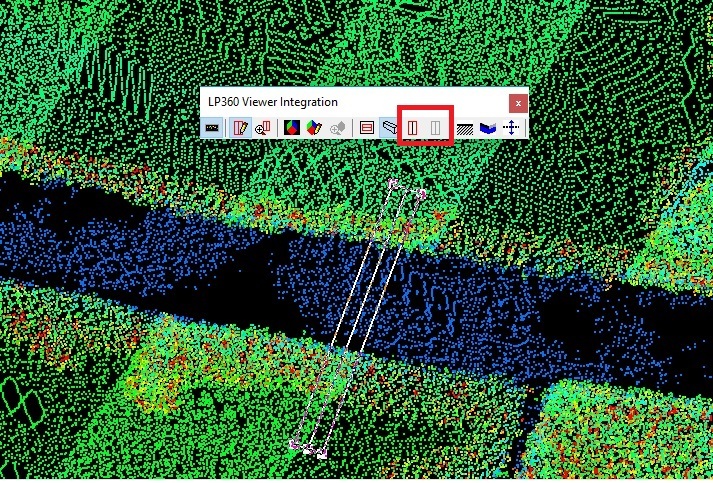 Profile Box/Profile Centerline are not visible in LP360 Map View. Only able to see where you are drawing the profile as you draw it. Once you’ve finished, it vanishes. Fig.1: Profile view appears when you draw it, then disappears. The LP360 Viewer Integration toolbar has a button called “Draw the Profile Box in 2D View”. This needs to be enabled in order to see the Profile Box when selecting profiles. “Profile Box” must be active to toggle “Profile Centerline” on and off. Fig.2: “Draw the Profile Box in 2D View” is active and Profile Selection tool stays in Data View. 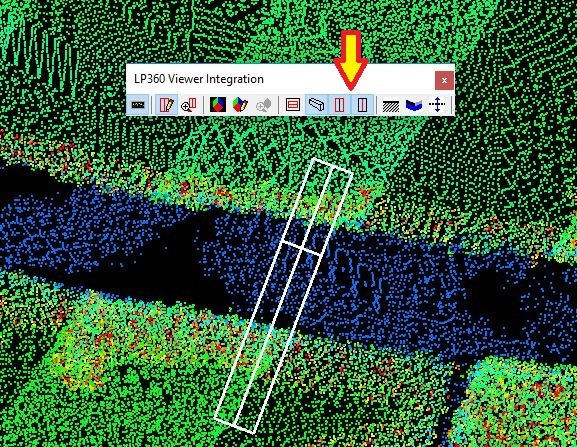 For LP360 with ArcMap, the Viewer Integration toolbar does not include the “Draw the Profile Box in 2D View” tools. Fig.3: LP360 for ArcMap Viewer Integration Toolbar. “Draw the Profile Box in 2D View”. Review Probable Resolution #1 to see how to enable “Profile Box” and “Profile Centerline”. This entry was posted in LP360 Tools, Tips and Workflows and tagged Centreline, white box.